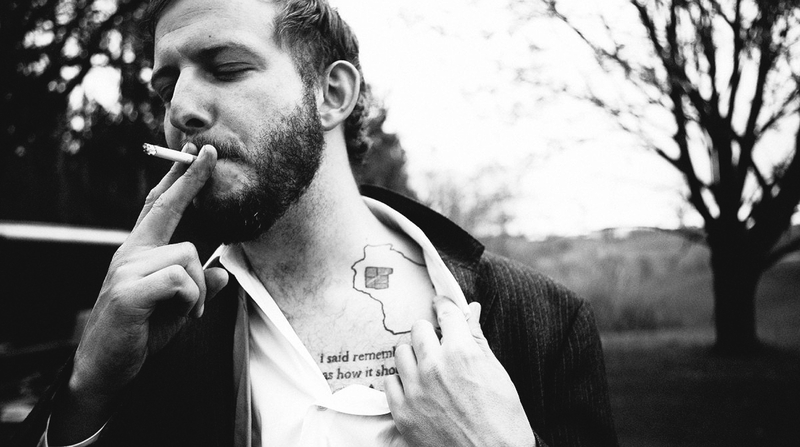 Bon Iver will be taking place in an all-inclusive concert vacation in Mexico. You can find the full press release below. Cloud 9 Adventures and The Bowery Presents announce the all-inclusive tropical concert vacation Days Have No Numbers, featuring Bon Iver in Mexico. The intimate event will take place over four nights at the Hard Rock Hotel Riviera Maya from January 21-25, 2018. Days Have No Numbers will present three full sets by Bon Iver, plus performances and collaborations by Sylvan Esso, POLIÇA, Francis and the Lights, Hiss Golden Messenger, Melt-Banana, Spank Rock, Aero Flynn, Phil Cook, Dizzy Fae, Velvet Negroni, Amy Warehouse, Hrrrbek and special guests, each performing one show over the four nights – in addition to a few planned surprises! Days Have No Numbers will showcase all three Bon Iver sets and other performances in the concert courtyard, providing a first-class concert experience with top-notch production, exceptional acoustics, collaborations of all kinds and a convenient all-inclusive bar service and specialty refreshments. Set against the backdrop of the Caribbean Sea with ample space for dancing and enjoyment, additional distinctive features will bring the concert courtyard to life. Two additional venues will provide fans with lagoon sunset performances plus late-night shows, enhancing this music experience to the fullest. Extending beyond the music with a fully curated schedule, the event will bring artists and fans together in tropical paradise. Days are filled with activities and workshops, poolside contests and games, specialty programs, and daily yoga, all while being surrounded by exceptional natural beauty. Guests also have the opportunity to book select off-site excursions to explore the local culture and natural beauty of the surrounding Mayan region extending from Cancun to Tulum. The Hard Rock Hotel Riviera Maya is a luxurious all-inclusive resort located between Playa del Carmen and Tulum, with all meals, beverages, concerts, and activities included in the event package price. Guests can choose from a wide variety of well-appointed room categories, including concert courtyard suites, oceanfront rooms, and lush tropical views spread throughout the property, all within easy walking distance to the main stage. Guests will also have the opportunity to work with the charitable organization Positive Legacy, a 501(c)(3) whose mission is to integrate live music and service by taking actions that positively impact local communities and the environment. Positive Legacy encourages artists and fans to participate in a day of service and cultural connection in the local community as a way of giving back. In addition to the day of service project, the event will feature a fundraising auction as well as a donation drive to benefit local school children. All proceeds from the auction will go toward the ongoing Positive Legacy charitable projects in this region. Cloud 9 Adventures is the industry leader for producing international concert vacations on cruise ships and at all-inclusive resorts, creating a wide variety of destination music events which include Jam Cruise, Holy Ship!, Panic en la Playa (feat. Widespread Panic), My Morning Jacket One Big Holiday, Dominican Holidaze, The Avett Brothers At The Beach, Strings & Sol, Closer to the Sun, Zac Brown Band’s Castaway with Southern Ground, with more to be announced. The Bowery Presents is an independent promotion company based in New York City known for providing the best concert experience for fans and artists at Terminal 5, Mercury Lounge, the Bowery Ballroom, Rough Trade NYC and Music Hall of Williamsburg, among others.